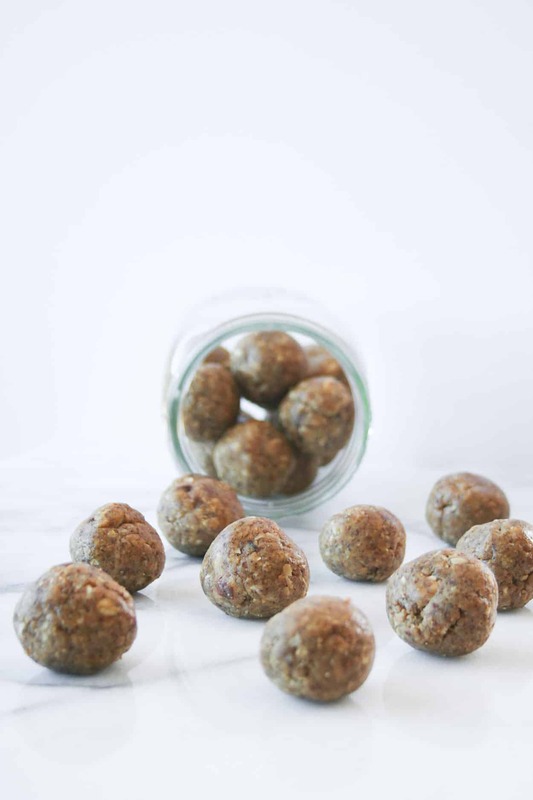 A pre-workout protein and energy boost – Peanut Butter Protein Bliss Bites require 6 ingredients, are easy to make, and can double as a healthy dessert! I’m sure at this point in our relationship, it comes at no surprise to you that I am snack obsessed. Energy bite obsessed. Ball obsessed. If this is surprising to you… hi! I’m Ellie and I love snacks, as evidenced here, here, here, and here. I always have some kind of energy bite in my fridge; they are my favorite pre-workout snack. I’m a morning gym person. And if I don’t get there before work, I won’t get there at all. But, I also can’t eat a big breakfast before I workout. In fact, I can barely eat anything wtihout my stomach being wrecked. 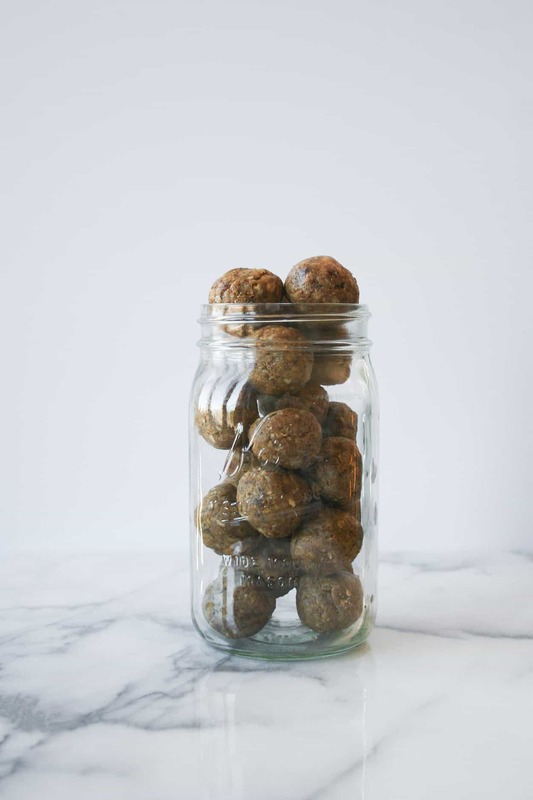 So, I’ll eat one of these peanut butter protein bliss bites before I head to the gym and it’s just the amount of food and energy that I need to get through my workout. Now everyone is different. I’m not saying that one bliss bite will be perfect for you before a workout, just because it is for me. 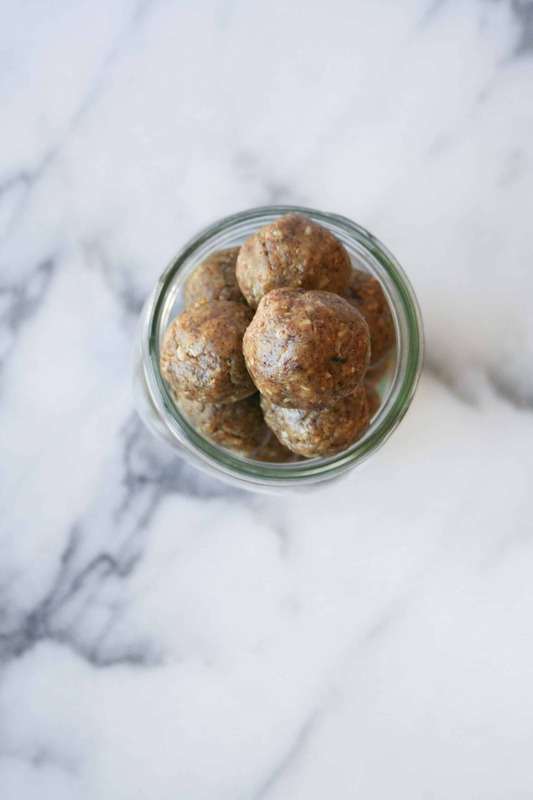 It’s taken me a long time of trial and error to figure out what works best for me as an early morning pre-workout snack; and it is something that you will have to figure out for yourself. But I highly suggest giving these a try. Do you like to workout in the morning? What is your favorite pre-workout snack? If you make these peanut butter protein bliss bites or any of my recipes, don’t forget to post a picture social media and use the hashtag #imhungrybynature for a chance to be featured! Add oats to the food processor. Pulse a few times to break down the oats. There can still be some large pieces; you do not need to make this into oat flour. Add the rest of your ingredient to the food processor and process until a dough forms. You will need to scrape down the sides as you’re processing. 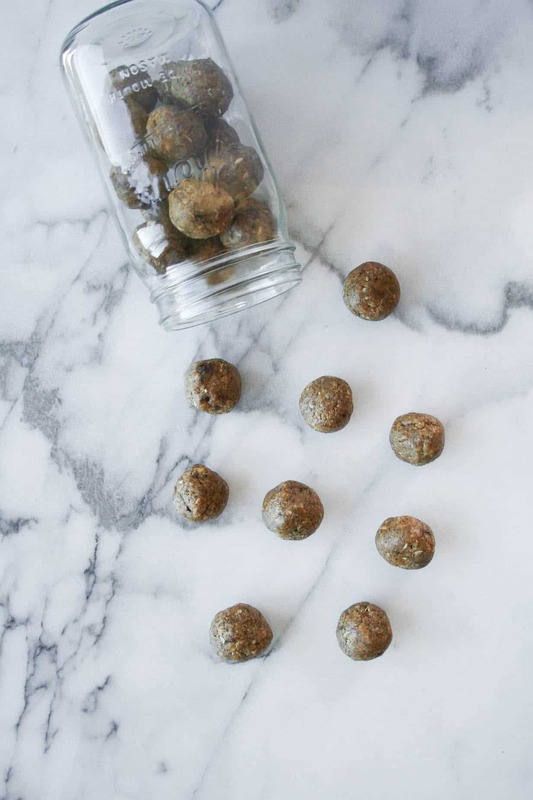 Using your hands, roll the dough into 1 inch balls. Freeze for 30 minutes to set. Store in the fridge. Ball so hard. That sh*t cray. <—– Also for those you don’t know, I’m Kanye obsessed. 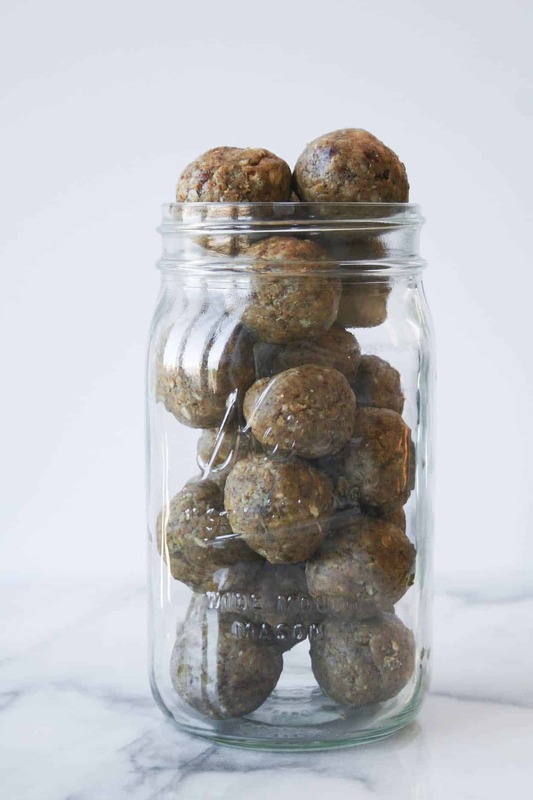 These little balls would be the perfect snack attack when I’m hangry! LOVE all the ingredients and how easy they are to make! OK. I need to try and see if the child will eat these. 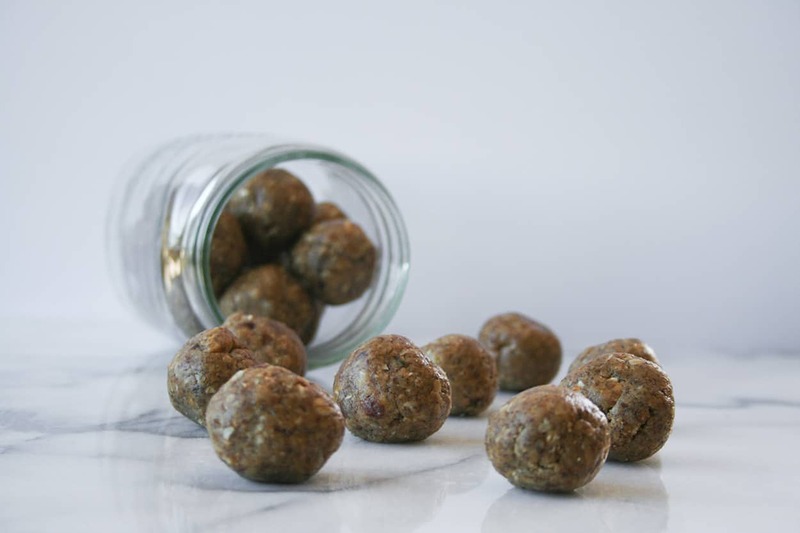 Sometimes I wish I were the mom who snuck the healthy into food – – but I’m not 🙂 I don’t want to risk breaking her trust so I will have to tell her there are dates in there 🙂 I bet you can’t taste them though?? No need to tell her – the dates are really sweet and taste like candy, even though they’re good for you! Your Kanye reference is on point <3. These look yummy and super easy! Thanks for sharing! I’m SO glad someone commented on that 🙂 thanks Mila!